Let’s grow a healthy family together. 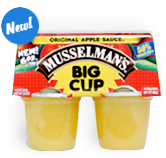 The Growing a Healthy Family Sweepstakes is now over. 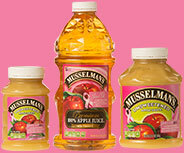 Look for Musselman’s products with "pink ribbon" packaging in stores. Every time you purchase one of these specially packaged items, we’ll make a donation to the National Breast Cancer Foundation.